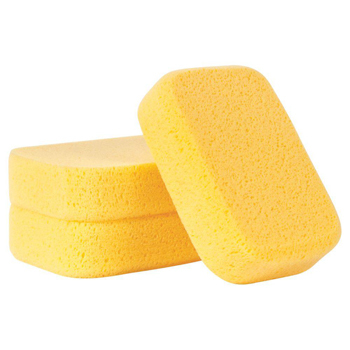 Our Big Yellow Sponge is an American made fine pore hydrophilic sponge. This sponge measures 7.5" x 5.5" x 2" and has all rounded corners. This super absorbent, dense, synthetic sponge offers all the advantages of the best natural sponges but will last much longer. This sponge is a superior cleaner for both statuary and large surfaces.